Automatic opening and closing operation. Only one button can be opened or closed in one second. Fiberglass ribs and steel ribs,unbreakable will not fear of strong winds and heavy rain. Be suitable for 1~2 person.Better protect your familys loves or friend who around you. Easy put Into the bag or luggage, perfect practicality. 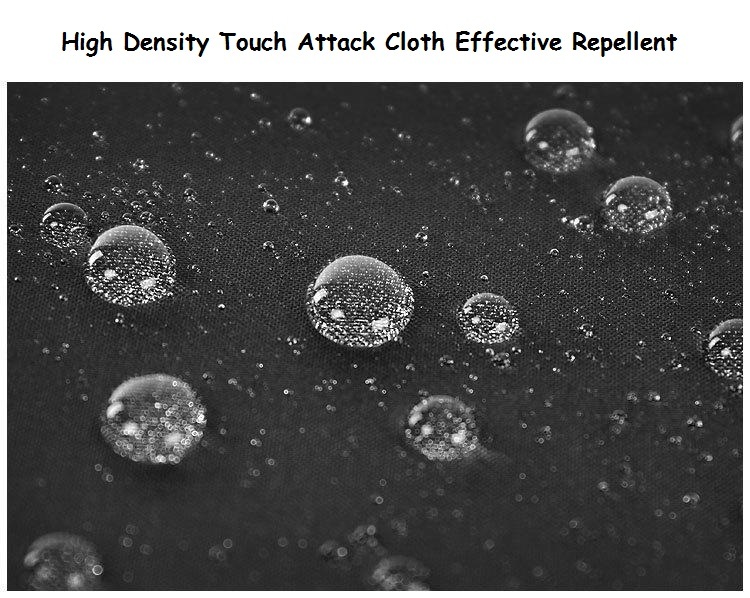 Waterproof coating with high-density touch cloth and knit fabric. Quick-drying with just a flick. 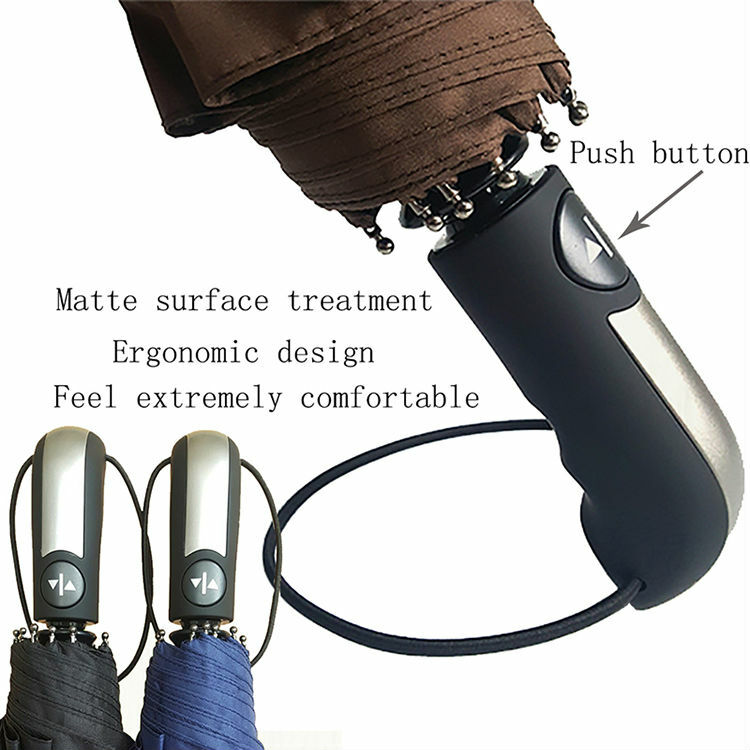 Long handle is slip-proof for a easy and comfortable grip. Reflective trimming stitched across the entire edge of the canopy keeps you safe in low light and rainy conditions. Practical, durable, lightweight, fashionable and portable. The rain drops will flip away when the rain falls. 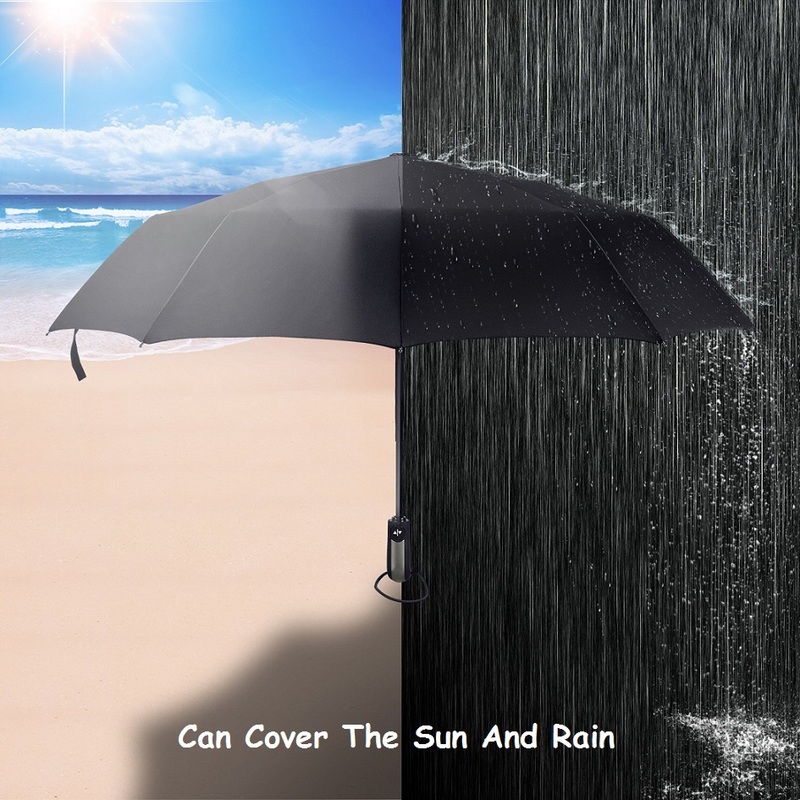 You only need to shake gently before closing the umbrella, all the water drops will gone, and the fabric won't be soaked. Umbrella also comes with a handy storage sleeve. 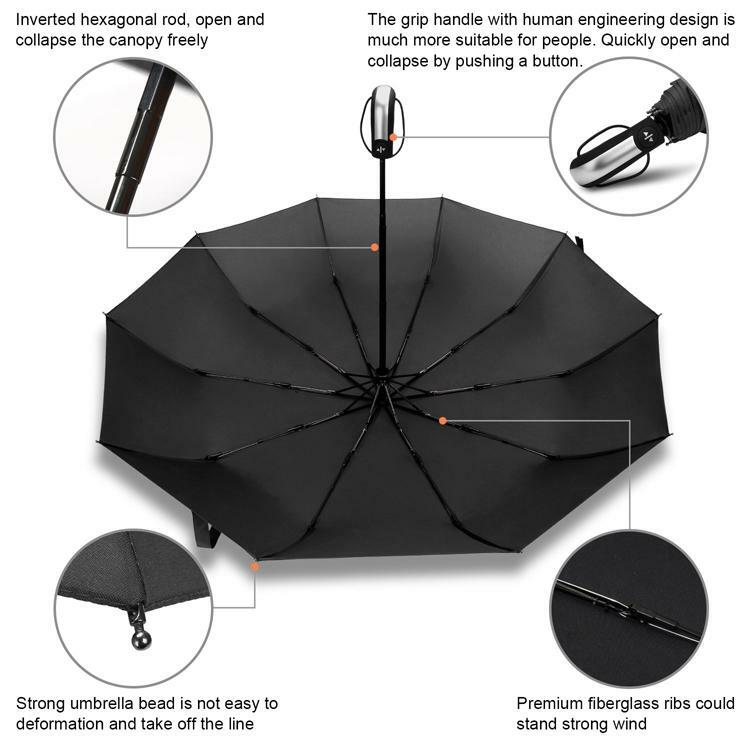 You can easily open and close the Automatic Umbrella in no time with your hands full. 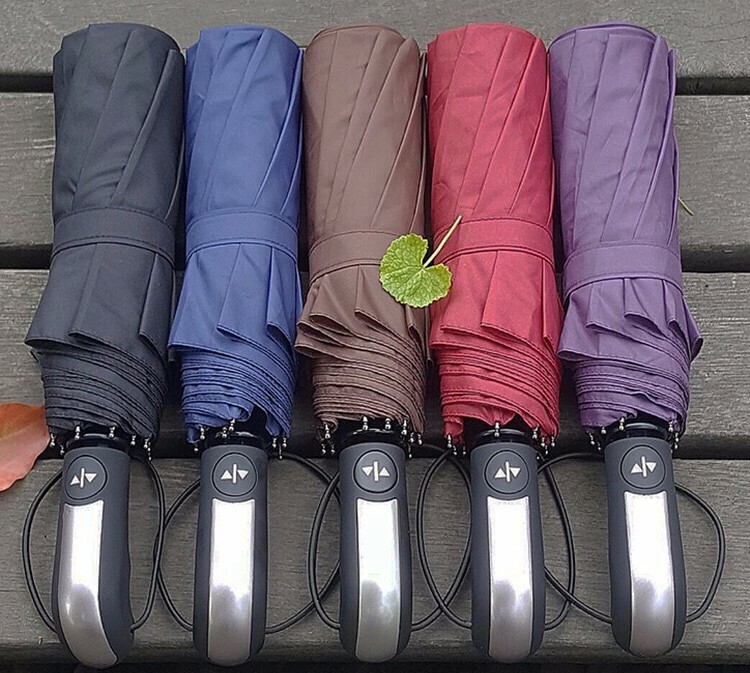 High quality coated fabric makes the Wnnideo umbrella one of the most durable. 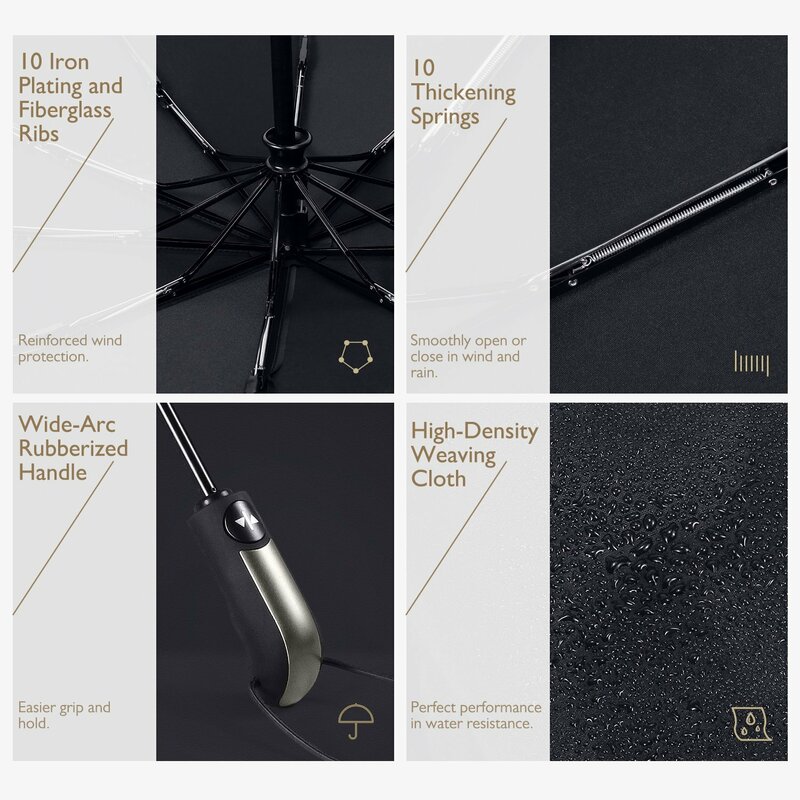 Designed to give a firm non-slip grip for those windy rainy days. It will fit your palm perfectly.